If you are in a transferrable job, you would understand the pain of moving your household possessions after every few years to a new city. Shifting from one place to another is quite challenging because it takes time to get accustomed to a new place and by the time you start familiarizing with every street and shop, you have to move again. But other things that can be a hassle is shifting all your belongings along with your vehicle. Mostly every house in the US owns a car which you have kept in good condition and is really expensive. Also, it is not always possible to buy new car and sell the old one before moving because this process can take a long time. Therefore, the best option would be to look for vehicle moving service. This is a very important factor when it comes to reselling your car. Mileage plays an important role in resale of your car. The more miles your car has driven, the lesser the price you would get. Though road trips can be exciting and adventurous but it can ruin your vehicle. You already know that if you drive a vehicle from one place to the other, you would add to the wear and tear of the engine, wheels and body and this is one area where a vehicle transport services can save you from. 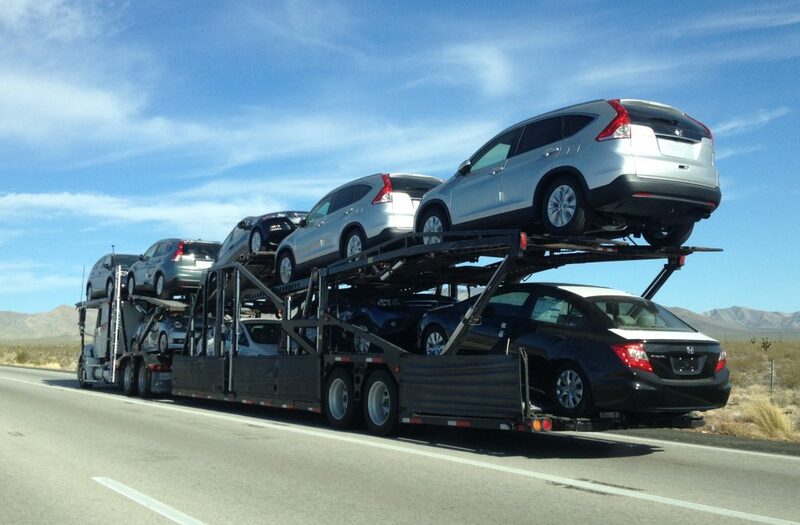 They would transport your vehicle in the same condition as you left it with them – especially for those who are shipping more costly vehicles. Also, these companies take all needed safety measures like enclosed car shipping which means your vehicle is protected from all weather conditions while transporting. Time is money and is a big factor for lot of people. For some, driving is not an option because they do not have the luxury to spend days or weeks driving their vehicle from one place to the other. You already have so many things planned when you move to a new city. Setting up your home is a big task and beyond that if you have to drive it then, it can really get frustrating. Also, driving a long distance can be tiring enough. So, it is easier to handover your troubles to a vehicle shipping service and let them deal with it. Hiring a transportation company can be expensive, but not as expensive as driving on your own. Driving your own vehicle can involve fuel costs that can be staggering. Also the expenses of hotels and food add to the moving costs. Therefore, this is the main reason why people opt for transportation companies rather than driving it themselves.